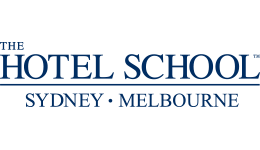 Melbourne is renowned for its bustling city and eclectic laneways, and right in the centre of it all is The Hotel School, sitting on Lonsdale Street. You’ll be just steps away from cafes, theatres, museums, sporting arenas, bars, restaurants and shops, which means you can immerse yourself in all things tourism and hospitality. Once you’re on campus you’ll enjoy a state-of-the-art learning experience!